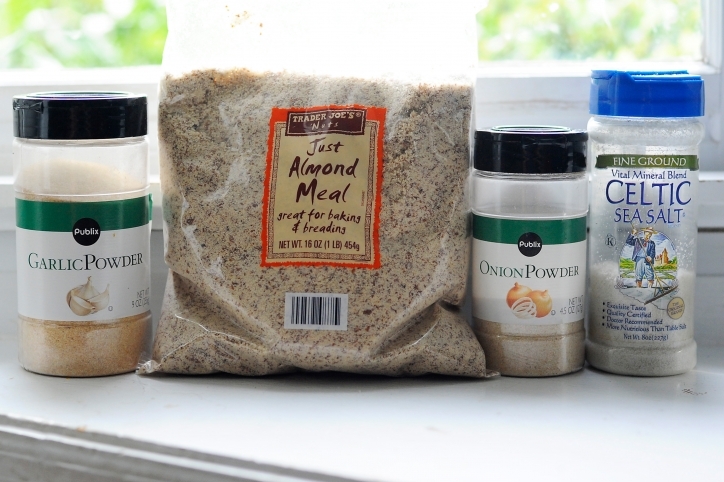 In a flat bowl, add the almond meal, salt, and garlic and onion powder and stir together. Now, in a large pan, pour 1 tbsp of coconut oil on medium high. Now, while that is heating, rinse the fish off with water. Grab one piece at a time and lay in the mix. Push it into the mix so the “breading” sticks and then flip and do the same to the other side. Lay all of the fish in the pan, fairly quickly so they can all cook about the same amount of time. Once the fish starts to get brown (after about 5 minutes or so), I like to spray the side up with Spectrum Coconut Oil. It’s much easier to use a spray for the top side and to get the oil on evenly. 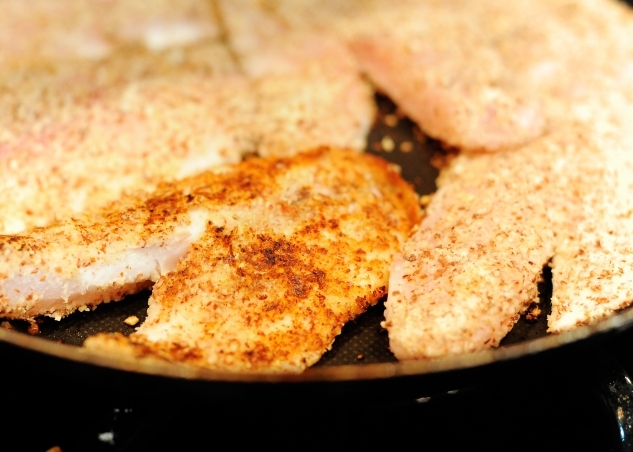 Now, flip the browned fish and cook a few more minutes until the other side turns brown. 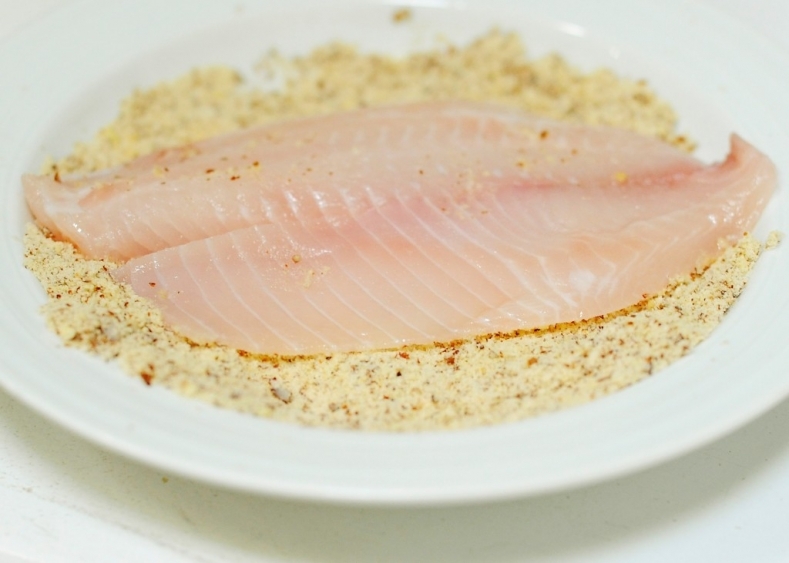 Then, turn your stove on low and cook for a few more minutes until the fish is no longer transparent in the middle. Serve, eat and enjoy immediately! 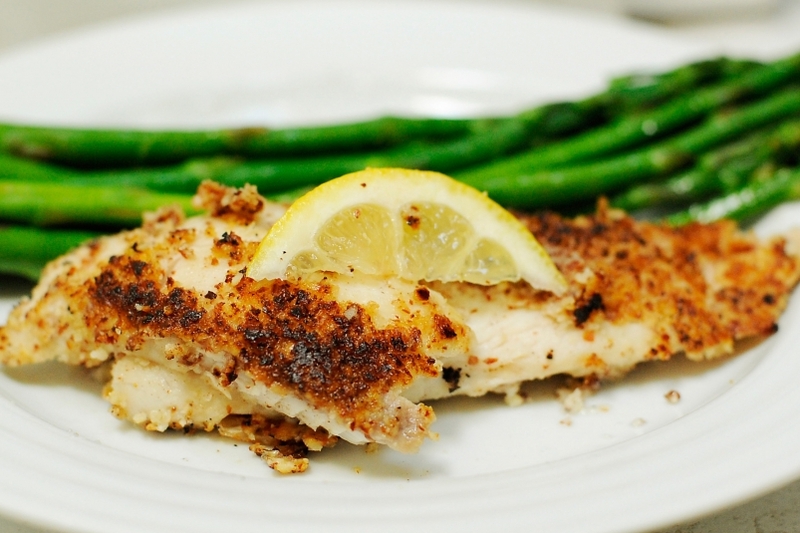 Oh and you may want to add some lemon juice just before eating (so it doesn’t get soggy)!